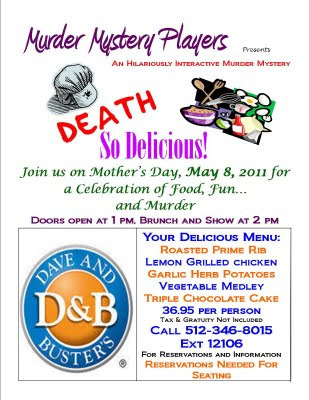 I don't personally endorse taking your mom to a murder mystery brunch for Mother's Day. It sends a strange message. 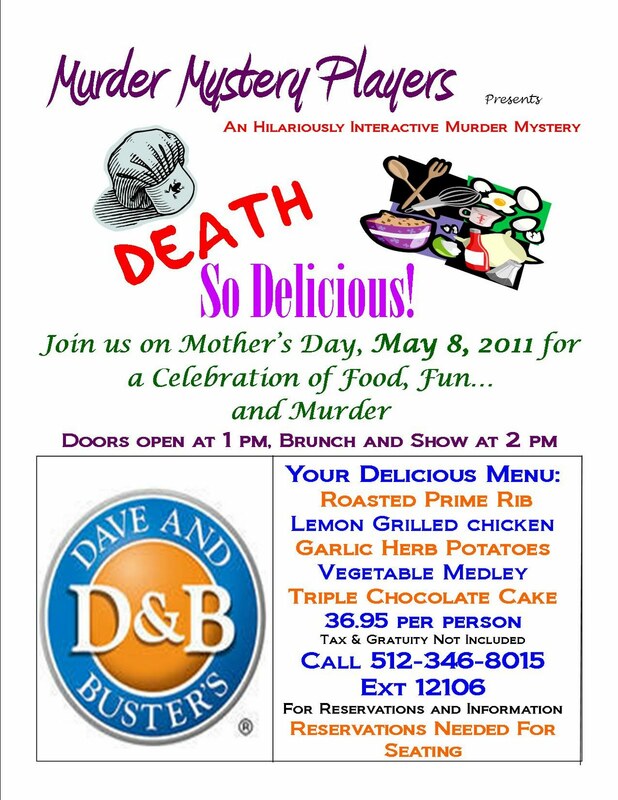 However, I will be performing in a murder mystery brunch on Mother's Day. See the show and enjoy a yummy brunch. Maybe send Mom some flowers and don't bring her to the show, unless she just loves a good, silly mystery. Click the poster below to make it bigger so you can get all the details. There are about eleventy hundred kittens being born at this moment. Some of them will end up at the kitten nursery where I and other volunteers will care for them until they can get into foster homes and/or get their precious selves adopted. Forgive my lack of blog updates. I'm either bottle-feeding or dishing up gruel for little scratchy puffballs of cuteness and neediness. Or maybe sleeping. The Austin Pets Alive puppies that we fostered for several days in January grew up to be teenage doggies. They both turned out gorgeous! Both were adopted. Wendell found his forever family with his next foster home. His new mom volunteers with me in the Bottle Baby Nursery at APA. Wendell's new family kept the name I gave him, which honestly warms my heart. 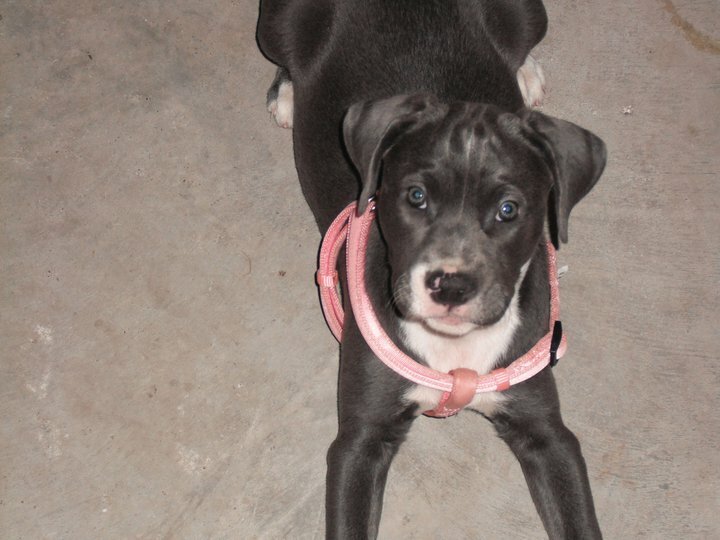 Winnie, now known as Talulah, an equally cute and old-fashioned name, was adopted by a family in Lockhart. Look at those lovely blue eyes! Ever since the Martian (that's the name) paint went on our kitchen walls over four and a half years ago, I've thought it was too bright and garish. 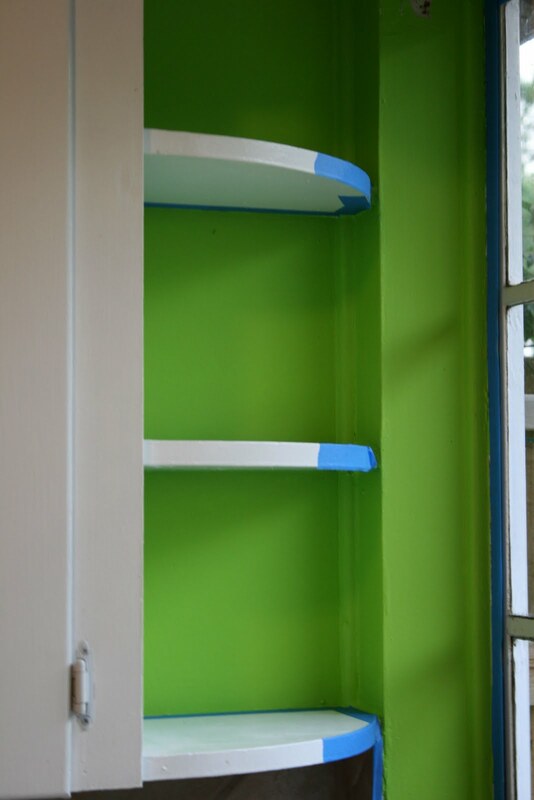 The wall color glowed and cast an acid green color onto other surfaces in the kitchen and hallway. 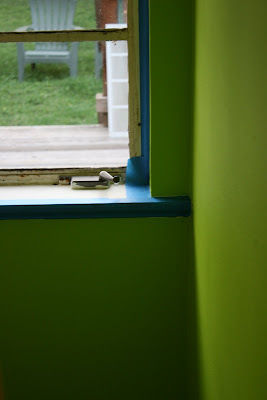 The paint didn't match anything else in our house. While the Martian paint earned comments for uniqueness and bright saturation, I loathed it. I honestly think that paint made my skin look green whenever I entered the kitchen. Chad and I finally repainted the walls High Noon blue this weekend. I love results of this repaint. It's bright yet calming. This color picks up the cool blue and gray flecks in the counter top and the cool tones in the kitchen tiles. 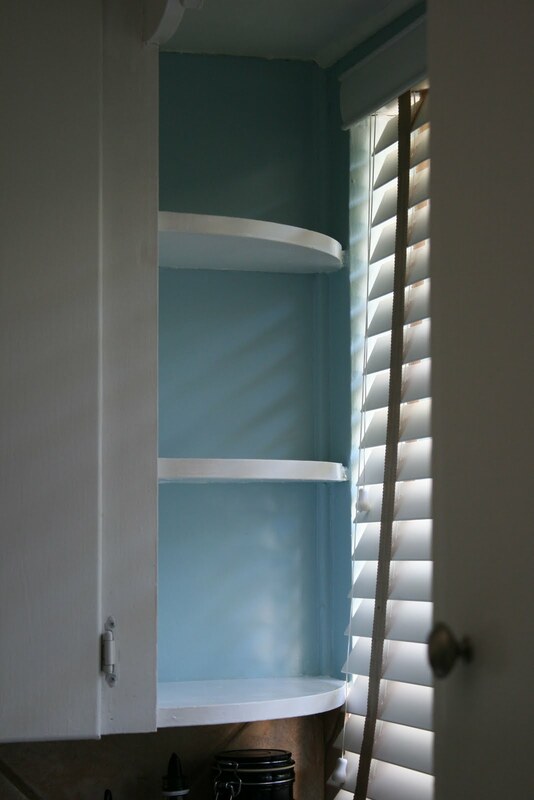 This blue perfectly pairs with the aqua details in our long hallway rug and on the living room chair. 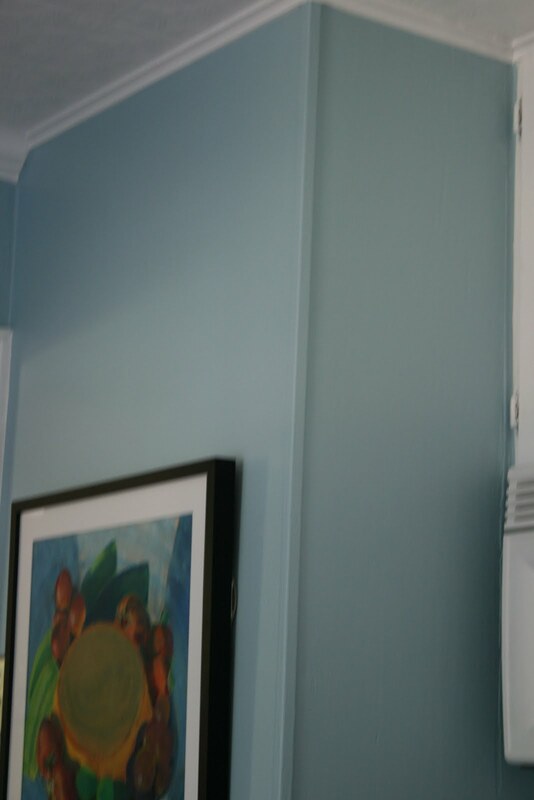 *happy sigh* As an added bonus, when we pulled out the refrigerator, oven and hutch to paint the walls, we also scrubbed all the surfaces. 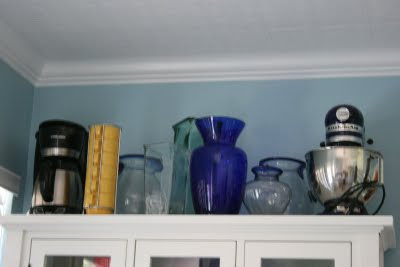 Now we have an impeccably clean kitchen. This weekend I spent some time volunteering at Austin Pets Alive for a special adoption event. 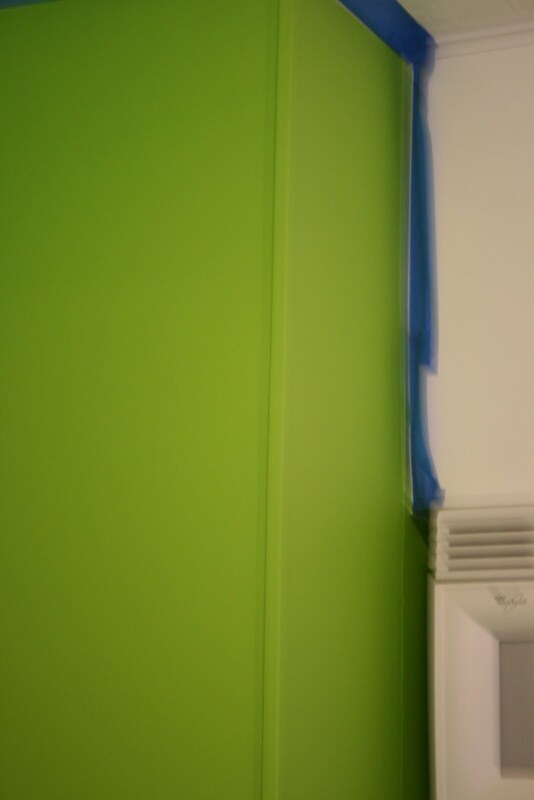 I greeted people as they entered the cat building, which also houses the veterinary clinic for cats and dogs. 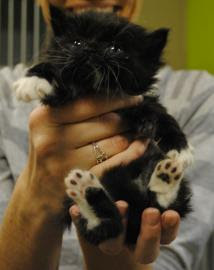 Many people came to visit cats for possible adoptions. Some people brought foster dogs and cats to see the veterinary staff at the clinic. A few people arrived to pick up new foster pets to bring home with them for a while. As another volunteer and I were standing at the main entrance looking over some paperwork, a cute young lady walked into the building. We all smiled at each other. I said, "Hi. Can we help you?" She replied, "I'm here to get busy." The other volunteer and I exchanged a glance that telepathically communicated, um, she's here to what? Then my brain kicked into gear and I realized that the cute young lady was here to get Busy, with a capital B. Recovering quickly from the awkward millisecond, I said, "Is Busy in the clinic right now?" Turns out, Busy was indeed a dog in the clinic, ready to head to a loving foster home. Busy... what a cute name!